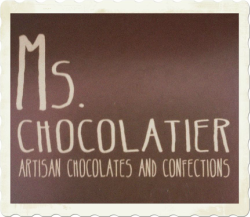 Handmade chocolates and candy made in San Antonio Texas. We create our chocolates and confections daily so you can insure you get the best tasting candy with local Texas ingredients when in season. You can find us at the Pearl Farmers Market every Saturday and Sunday.